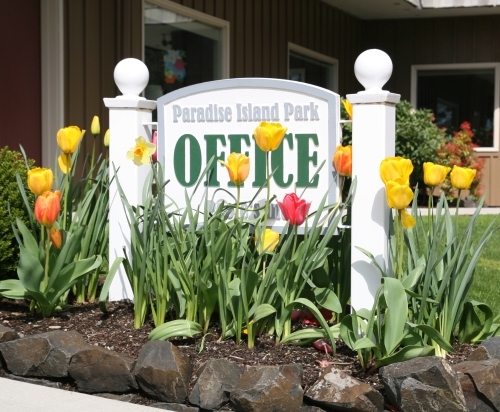 Paradise Island is a 55+ Manufactured Home Park, but “community” truly describes our heart. There are 214 homes in our Park and over 300 residents who watch out for each other. We are located in southeast Salem on Turner Road. Developed owned and operated by the Poole family. Our very reasonable Park space rent includes •city water & sewer •unlimited irrigation water •garbage & yard debris pick-up •Comcast cable TV (expanded basic package of 93 channels) •use of our 7,000 square foot Recreation Hall •meeting/party rooms •exercise equipment •Ballroom •indoor spa •heated swimming pool •RV storage •maintenance of carports & detached garages •Pool Hall •laundry facility.